2. 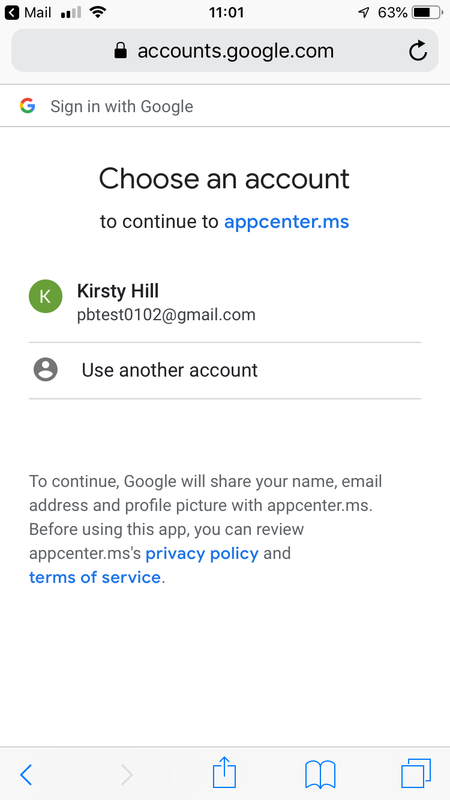 When the Visual Studio App Center page has loaded, tap on the Google ‘G’ link to download the app using your Gmail account. 3. 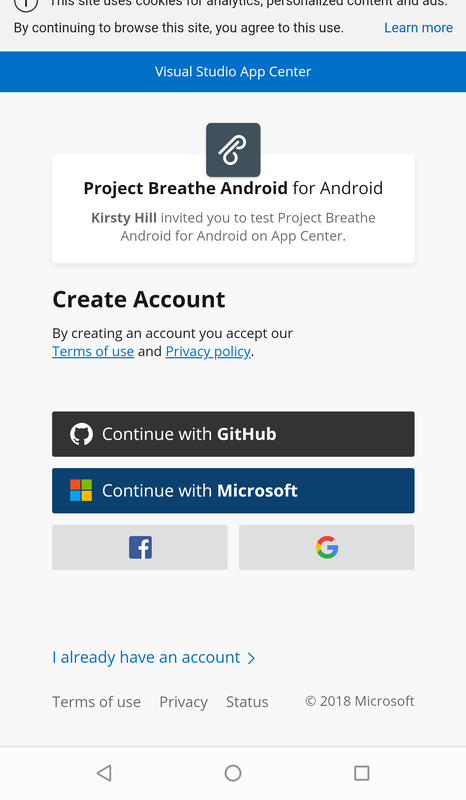 Choose the account you created for Project Breathe. 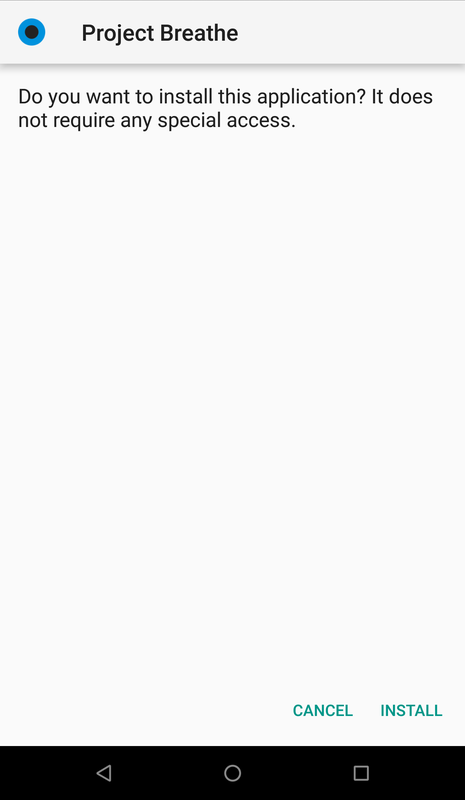 If you don’t see it on this page, tap on ‘Use another account’ and enter your username and password. 4. 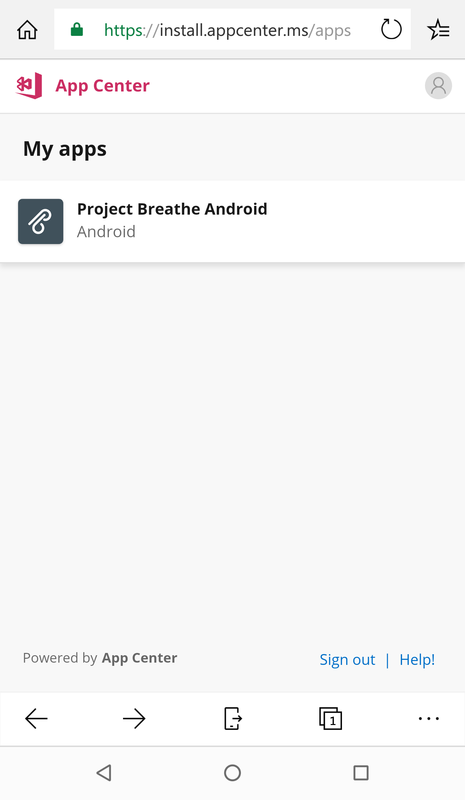 Having logged in, select ‘Project Breathe Android’ in the App Center. 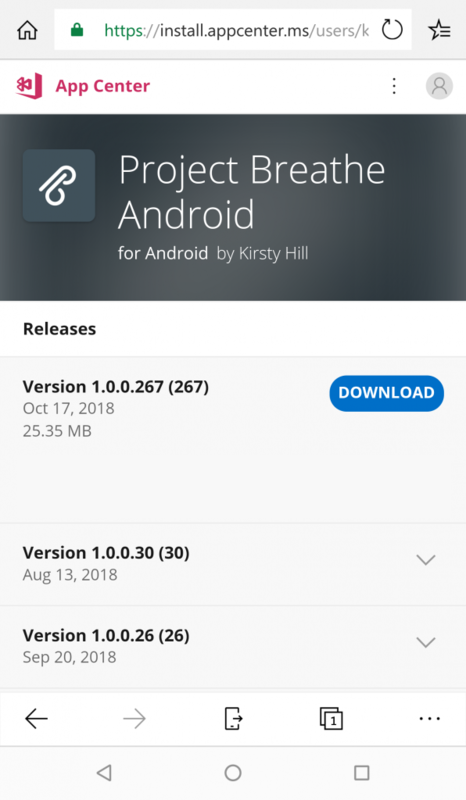 Tap on the Project Breathe icon to proceed. 5. 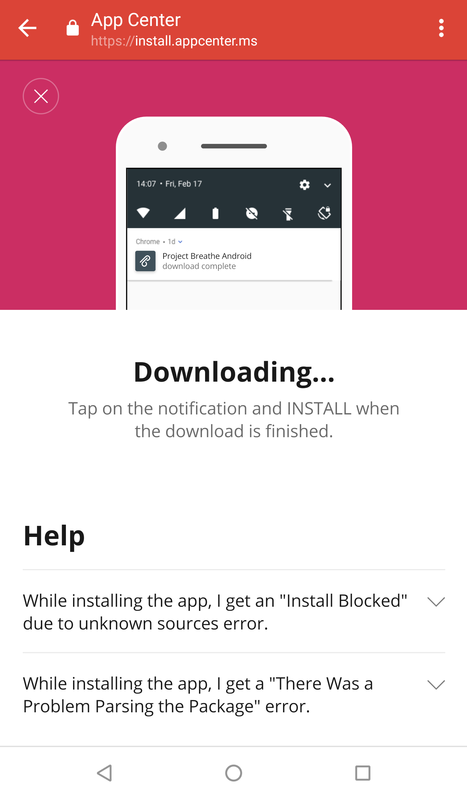 Make sure you select the most recent version of the app and tap ‘DOWNLOAD”. 6. The app will automatically begin downloading, but in case of any issues or questions, please visit our FAQ section. 7. Once the app has been downloaded, you will be asked whether you want to install it. 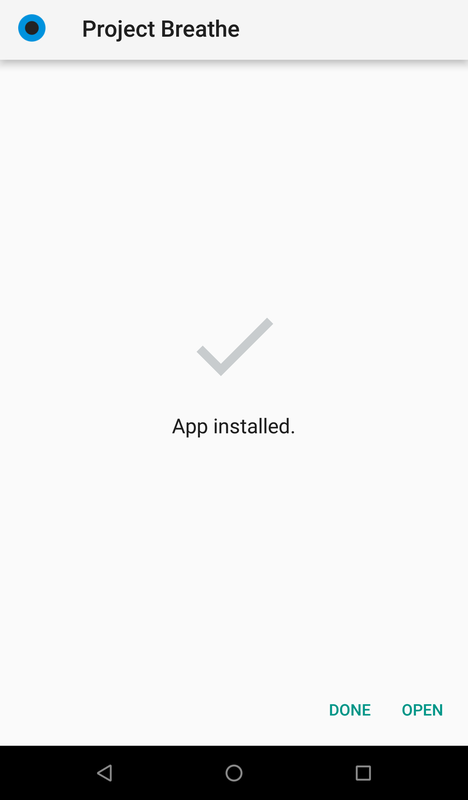 Just tap ‘Install’. 8. 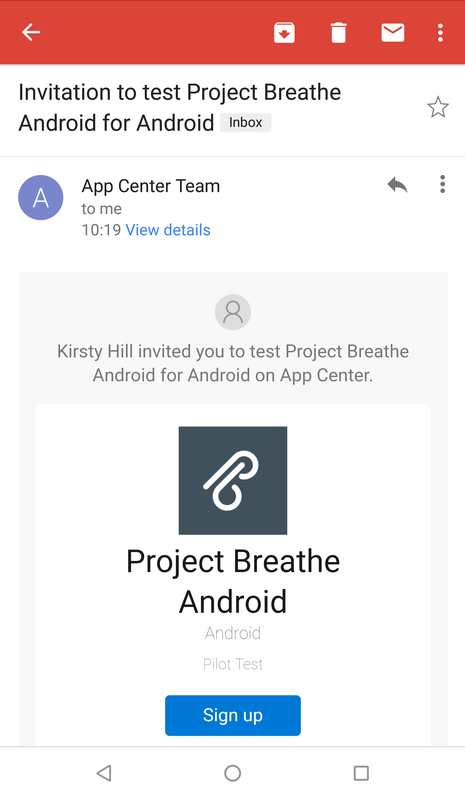 In order to install the Project Breathe app, you may need to approve App Center as a trusted source. 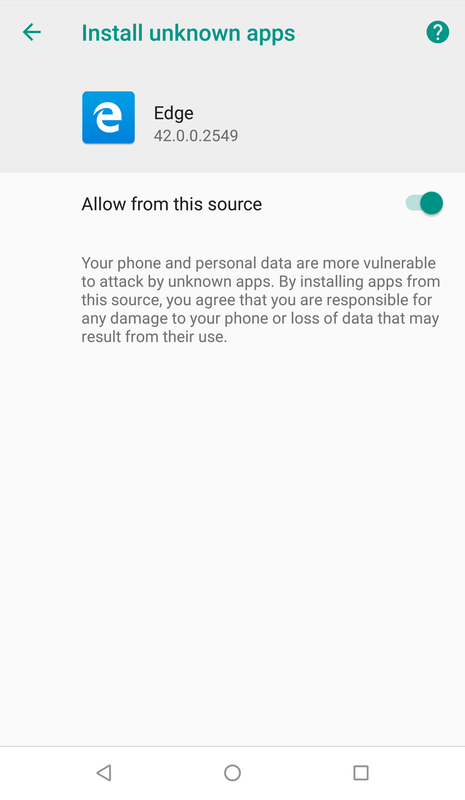 Make sure the ‘Allow from this source’ option is turned on. 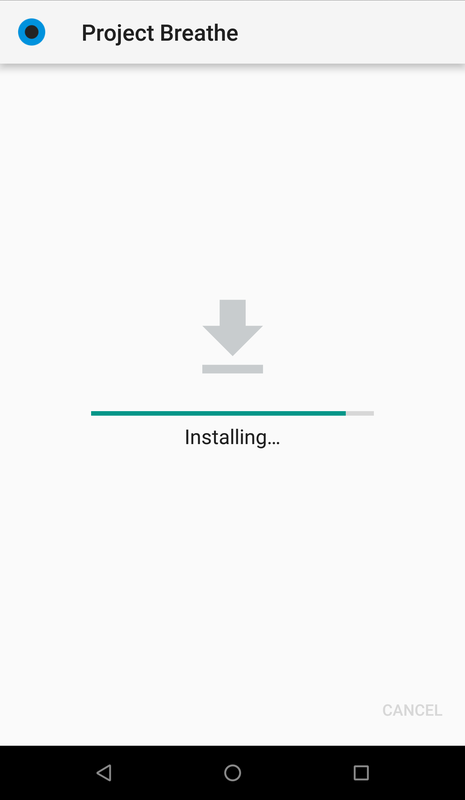 Tap the Android ‘Back’ button to return to the installation. 10. You should see a confirmation page once setup has finished. Tap “OPEN” to launch the app. 11. 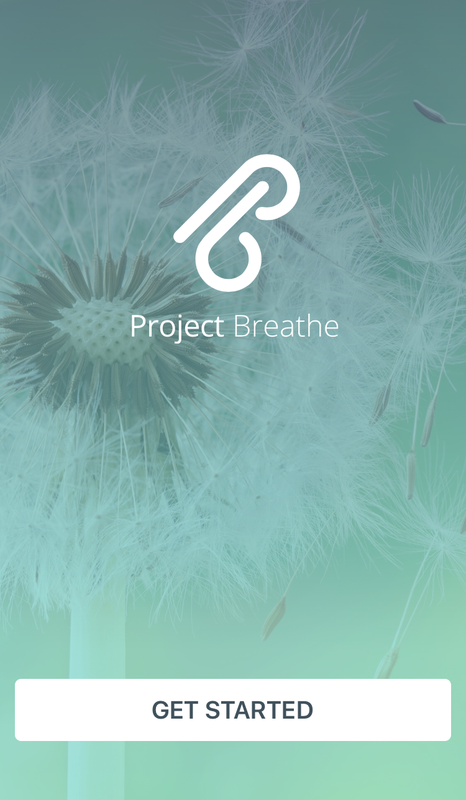 The Project Breathe logo should appear. Tap on the ‘Get Started’ button to visit your daily dashboard. 12. Now you’re finished with the installation, let’s get Project Breathe talking to Fitbit. 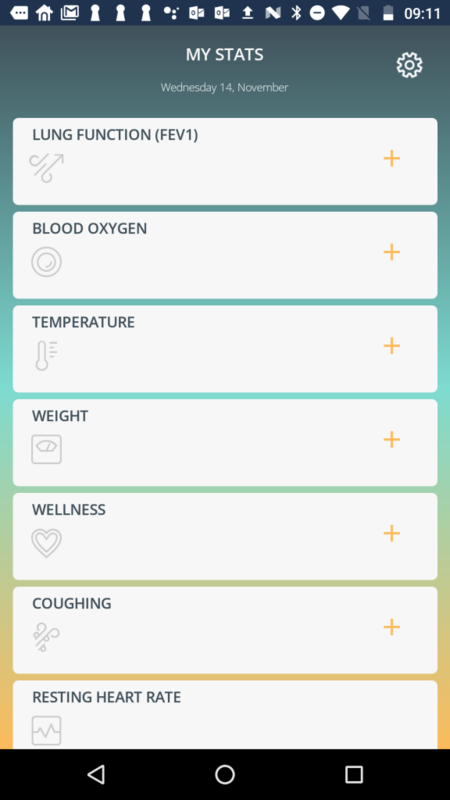 Visit Install the Fitbit app and connect it to Project Breathe to see how.